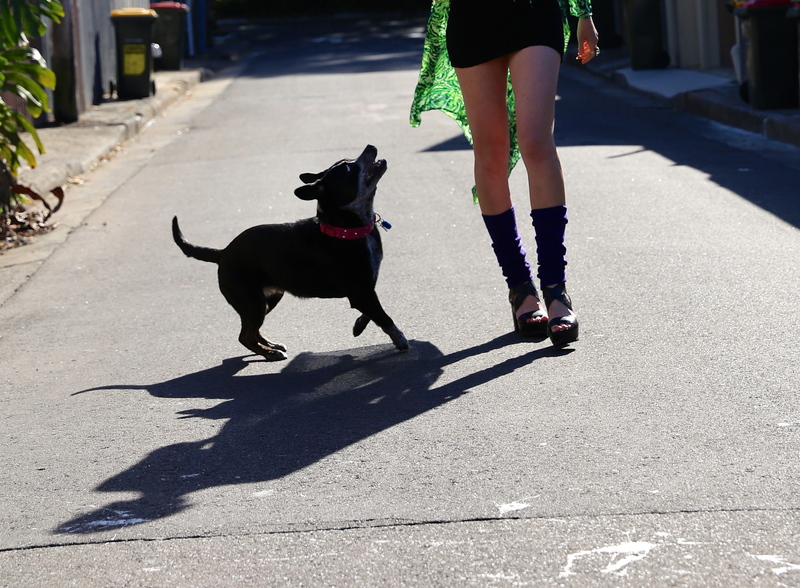 So, I actually did walk my dog on a sunny Sunday morning in a maxi dress & heels. Some people clearly thought I was doing the ‘walk of shame’ but I would like to think I looked too neat and tidy to be really sneaking home up the back street. Here I am wearing a label that is not only affordable but really on trend! Unbelievable, I know!!! Check out Missguided HERE. Also this dress doubles as a cape for throwing on over some denim cut offs and a singlet. Wearing: Missguided ‘Okamura Tropical’ maxi kimono ∆ Soles Shoes ‘Stevie Nicks’ ∆ Missguided pink clutch ∆ leg warmers from my local dance wear store ∆ Mettle Fair Trade brass neckpiece.